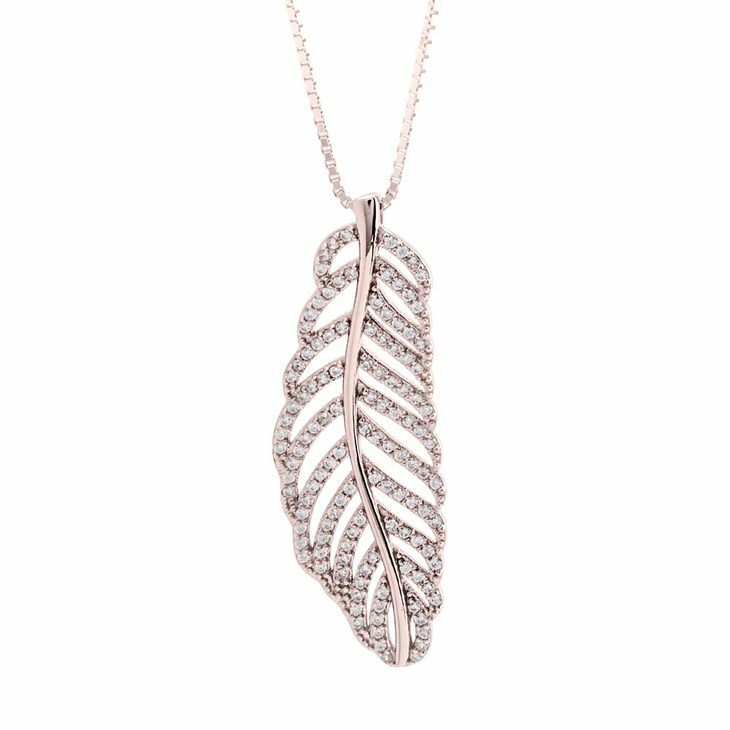 The latest trend is here to stay, our brand new Feather Necklace with Cubic Zirconia will be the must have accessory in your jewellery box! Feathers symbolize freedom, love, harmony, and abundance. The look you will get will be light with a movement of sparkling zirconias shining all together. Is the perfect necklace to wear at night and let the stars give the shine to your outfit. Everyone will ask about your new necklace, you will not want to take it off. 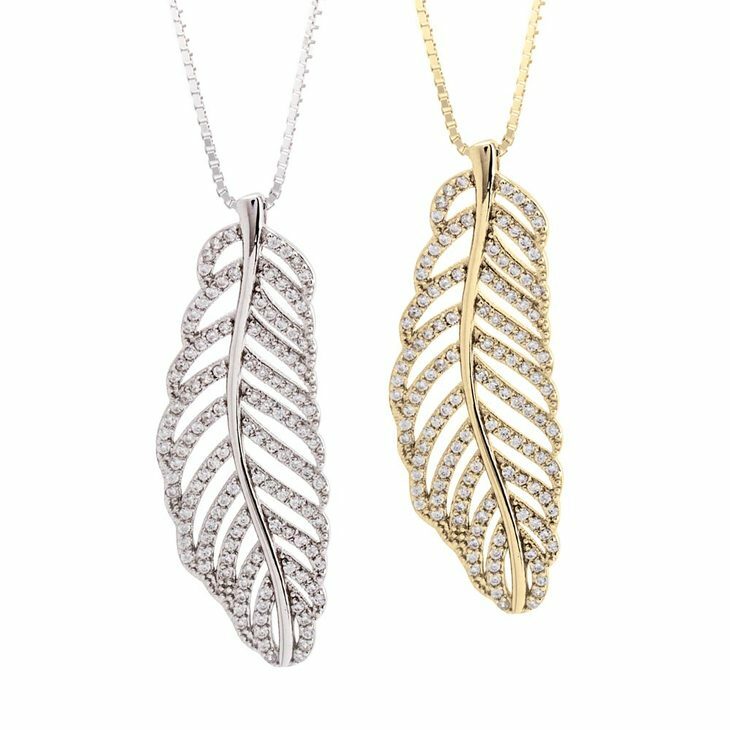 Available in silver, gold plated and rose plated! 13mm x 37mm / 0.5" x 1.5"